Discover the secret techniques thousands are already using to attract More Money, More Love and More Happiness into your life faster and easier than you ever imagined possible. And I have a confession to make. I’d read dozens of self-help books, listened to countless audiotapes and I’d been to tons of seminars and events on how to live a happy, prosperous life. But even though I was totally committed to achieving my goals, I just couldn’t seem to get ahead. I still wasn’t living a life that I loved. I stumbled across the secret of the Law of Attraction. I FINALLY had a step-by-step blueprint for exactly how to magnetically attract the people, the opportunities and the abundance that I so deeply craved into my life. And today, I live a life that literally has me jumping out of bed each morning, filled with energy and vitality, love, fulfillment, passion and purpose. So that YOU too can experience the same results! This mission has driven me to create my Law of Attraction 101 e-course to help you powerfully take control of your destiny, manifest your deepest dreams and desires and step into living a life YOU ABSOLUTELY LOVE. How to rid yourself of negative and potentially destructive thoughts that may be blocking your natural ability to manifest your greatest dreams and desires. 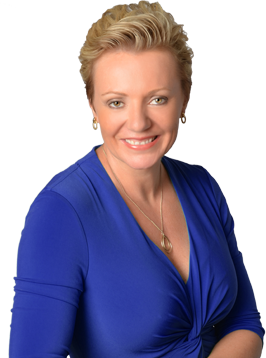 How to set goals and then use the power of intention to send crystal clear signals to the Universe to hand deliver to you the money, job opportunities or soul mate that you most desire. The #1 most powerful visualization secret that 99.9% of people don’t know about that can significantly multiply your manifesting power and help you step into your dream life faster than you ever thought possible. Plus I’ll share with you my own story of how I cracked the hidden secrets of the Law of Attraction to go from feeling like I was going around in circles in my relationships, finances and career to living a life filled with joy, ease and abundance far beyond what I ever imagined. And I’ve made it my mission in life to help you, and others like us, realize that you already hold the power within yourself to make your wildest dreams and desires come true. 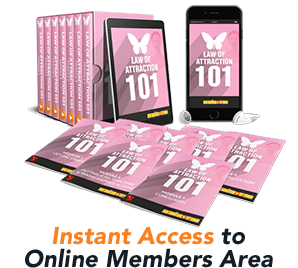 Just click the Add to Cart below to get my complete 7-step Law of Attraction 101 e-course right now for just a one-time payment of $197. Spain, Malaysia… The Movement is Spreading! And attract the perfect soul mate they’d been waiting for. And I’d like to help YOU achieve the same joy, fulfillment, ease and abundance in your life! And I’ll see you inside the Members Area!